Redmi 7 Vs Realme C2: Which is better budget phone? We recently witnessed the launch of Google’s Android Device Manager, a tool designed to help you keep track of your phone, and possibly recover it if it gets lost by any chance. The tool was initially supposed to start rolling out in the last week of August, however, we were in for a pleasant surprise on Friday, the 2nd of August when users across the world reported of the tool being visible on their Android devices. Google is, however, rolling out the service for a bunch of Android devices at a time, so if it doesn’t show up on your device as yet, do not lose your cool and stay patient, it is just a matter of weeks before all devices receive the update. However, the tool/service is not a standalone app, but is integrated in your phone’s settings menu itself. 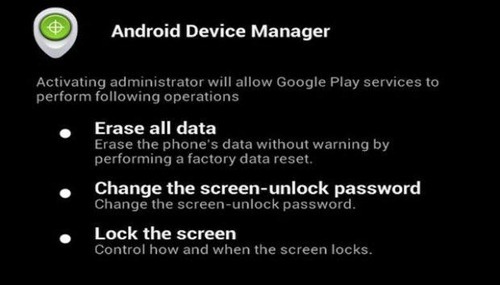 If you see a checkbox labelled ‘Android Device Manager’, your phone can receive the update. After this is done, you will be able to access the Android Device Manager under the phone’s settings menu. Get the location of your device. Remotely erase sensitive data, thus protect your own privacy. Make the phone ring at maximum volume even if the phone is in silent mode. Remote locking, remote monitoring to come soon. As we said, if you haven’t received the update, you need to be patient and wait for your turn. The service is still in it’s developmental stages, so it is understandable. 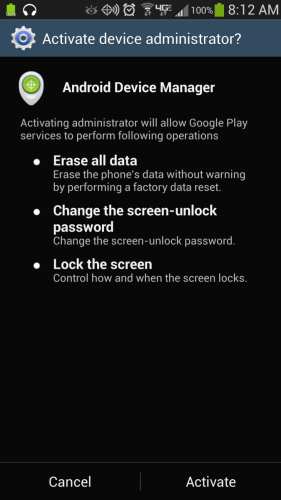 We think the service brings a whole new and much needed dimension to Android, making user data more secure and safe. If you’re one of the lucky ones to receive the update, let us know what you think by commenting below!